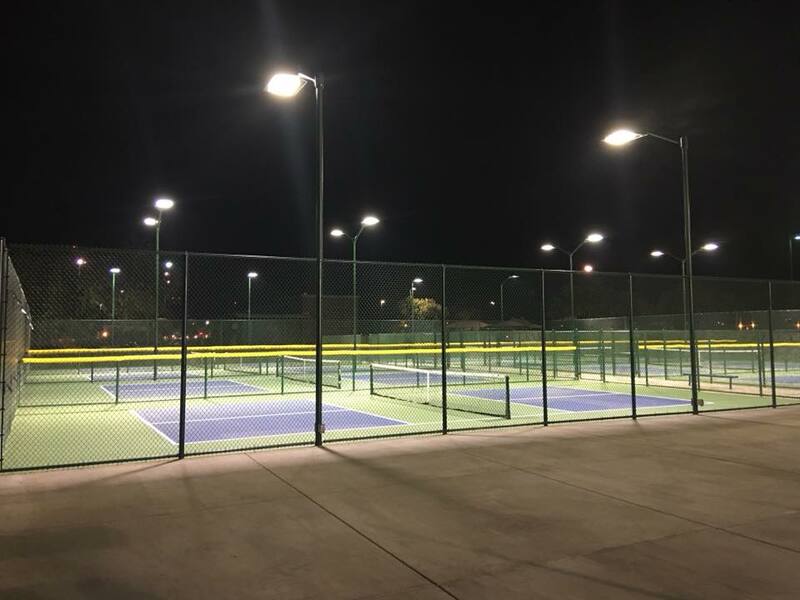 Frasure Reps supplied (16) LED CourtBlade fixtures for eight pickleball courts located at Surprise Community Park in Surprise, AZ. The project was completed and there was a ribbon-cutting ceremony held in December 2017. Each set of two courts are illuminated with (4) LED CourtBlade fixtures, providing average footcandle levels in the mid-40s with excellent uniformity. 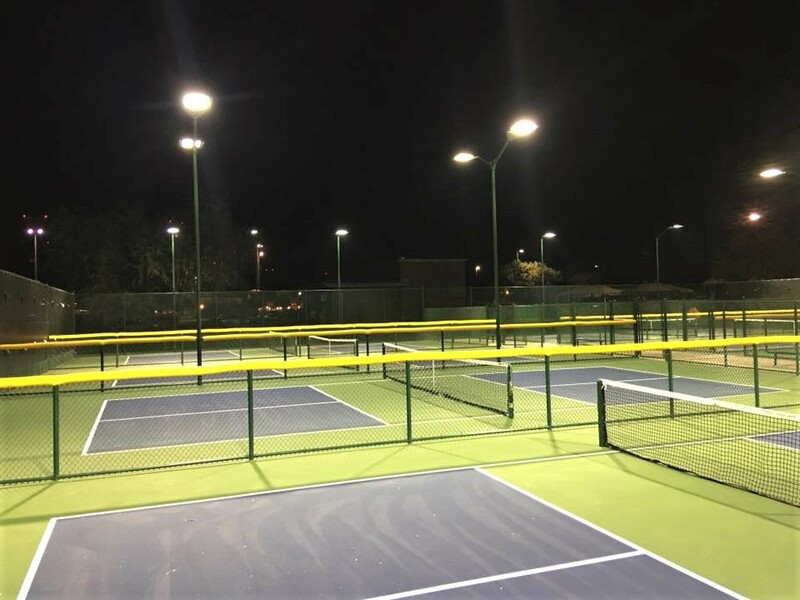 There is a total of sixteen pickleball courts at the park, with the eight for which Frasure Reps supplied the lighting being newly constructed. The courts are public and free to play. The courts are home to numerous tournaments and bring in hundreds of players from Arizona and the rest of the country.